We were the first to create a waterless tube so more individuals could receive the soothing and relaxing benefits similar to our Bubble Tubes. 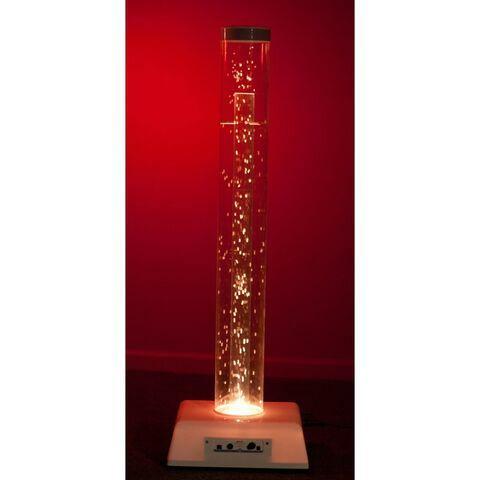 Specially-coated styrofoam beads dance inside a sturdy acrylic tube and reflect the abundant colors offered by our LED lights. The ability to adjust the speed of the fan allows more flexibility to create custom sessions. With our Bluetooth Genie technology, you can control your Hurricane Tube from your iPhone or iPad. This Hurricane Tube includes the MSE Genie Receiver. All you need to do is download the MSE Genie App from the App Store and you are ready to go. Our MSE Genie App allows the facilitator to customize the session for each individual. ~ Unlock existing equipment. ~ With Signal Splitters, you can control two pieces of equipment with your iPad or iPhone. ~ Add more MSE Genie Receivers and you can control all your TFH Sensory Room Equipment. Contact us for custom design. ~ Develop interactive story telling. ~ Allow any controller to interact with any reward. As the facilitator, you get to choose: ~ Which equipment is "on". ~ If your client can select equipment. ~ Which type of controller the client uses (5 options to choose from; large color controller; small color controller; color mixing (2); color ladder with piano scales) ~ How many controls the client has. 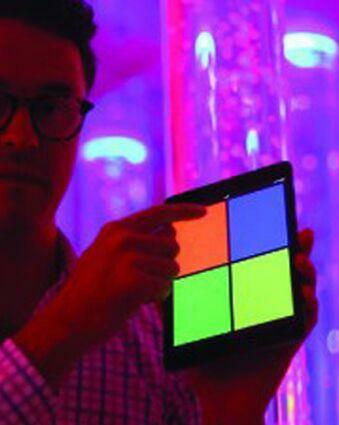 Client gets to: ~ Have a blast using their iPad or iPhone to control their environment ~ Learn color discrimination. ~ Develop fine and gross motor skills ~ Gain self-determination and empowerment skills ~ Relax and enjoy visual, auditory and tactile stimulation from our Hurricane Tubes. Dimensions: 80" H x 6" Dia.